Taliaferro Hall is a freshman dormitory at William & Mary located on Jamestown Road between the Campus Center and Admissions Office. The building can house up to 60 students and was named after William Booth Taliaferro, class of 1842, American Civil War soldier, and Rector of the Board of Visitors 1890-1899. The building has served as a dormitory, bookstore, and tea room since its completion in June 1935. The construction of the building was made possible by a Public Works Administration (PWA) grant and loan of $650,000. In keeping with tradition, the building was designed to mimic the Georgian architecture of its neighboring structures. It began as a men's dormitory, but, in 1978, it became the first co-ed freshman dormitory at the university. 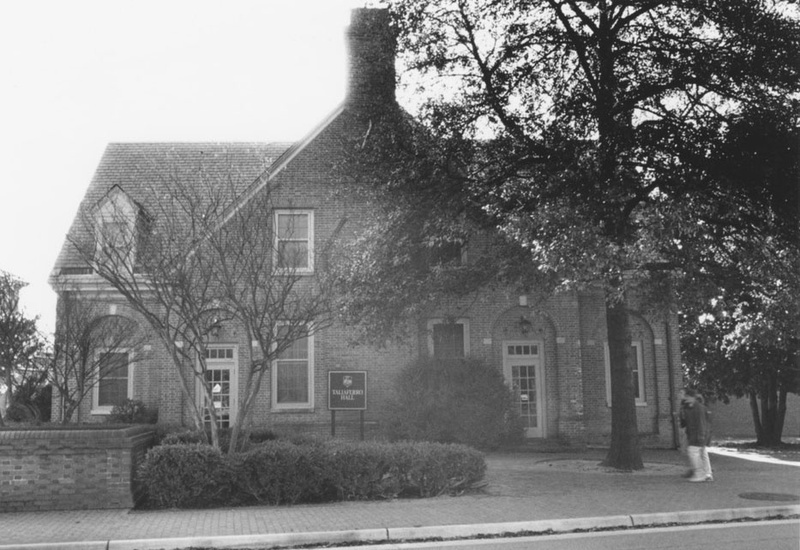 From 1986 to 1988, Taliaferro Hall housed freshmen designated as Presidential Scholars, which later morphed into the Monroe Scholar Program, the most prestigious academic program at William & Mary. Taliaferro Hall, 2015: A 2015 image of Taliaferro Hall as it faces Jamestown Road. ~ Source: University Archives Photograph Collection, UA 8. ~ Creator: College of William and Mary. 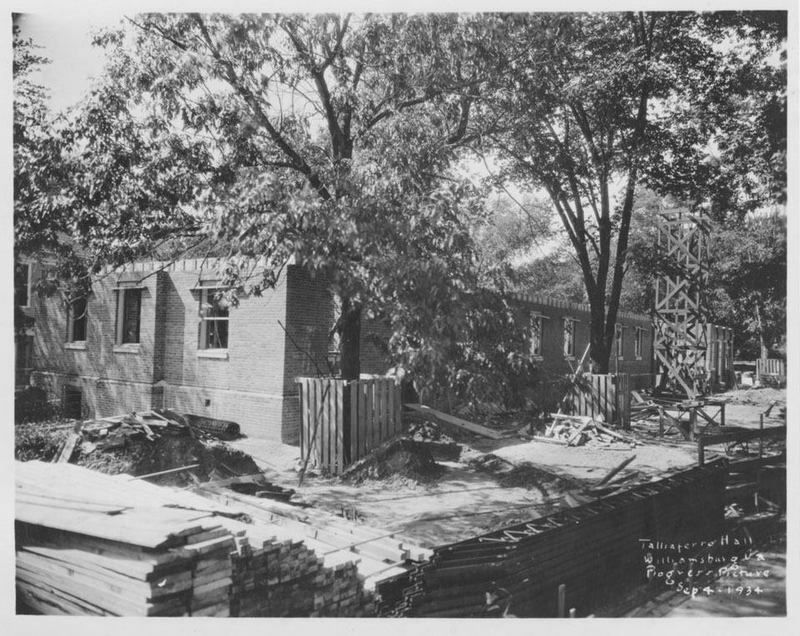 Taliaferro Construction, 1934: An image of the construction of Taliaferro Hall in September 1934. ~ Source: University Archives Photograph Collection, UA 8. ~ Creator: College of William and Mary. 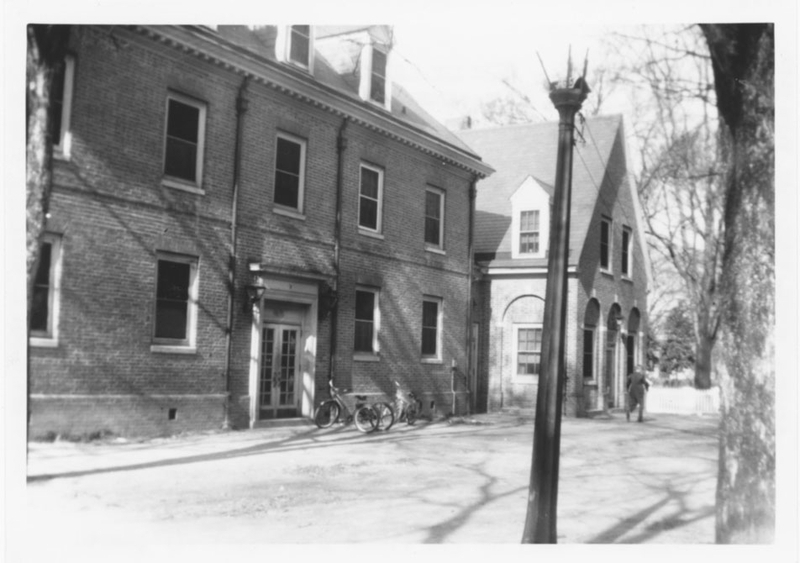 Taliaferro Hall, 1945: A snapshot of the east facade of Taliaferro Hall in 1945. ~ Source: University Archives Photograph Collection, UA 8. ~ Creator: College of William and Mary. Taliaferro Hall, undated: The east facade of Taliaferro Hall as it faces the Campus Center. ~ Source: University Archives Photograph Collection, UA 8. ~ Creator: College of William and Mary. 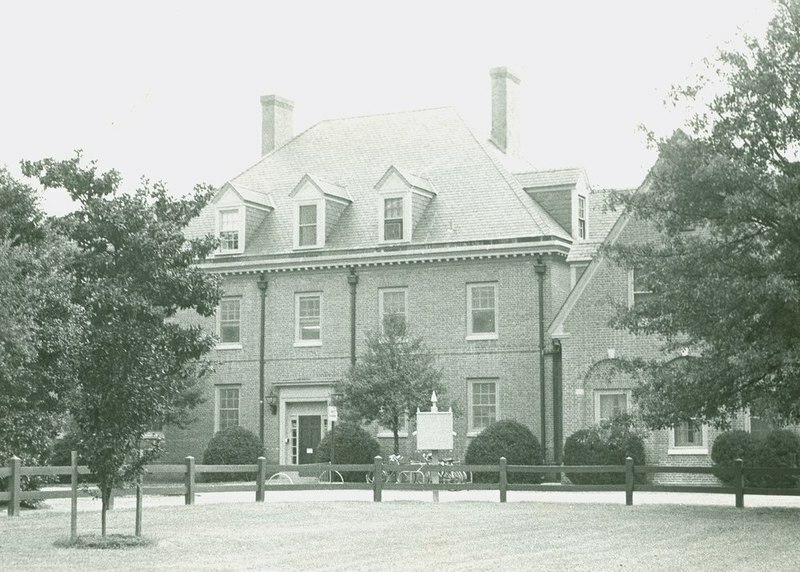 Taliaferro Hall, undated: An undated photograph of the front of Taliaferro Hall. ~ Source: University Archives Photograph Collection, UA 8. ~ Creator: College of William and Mary. 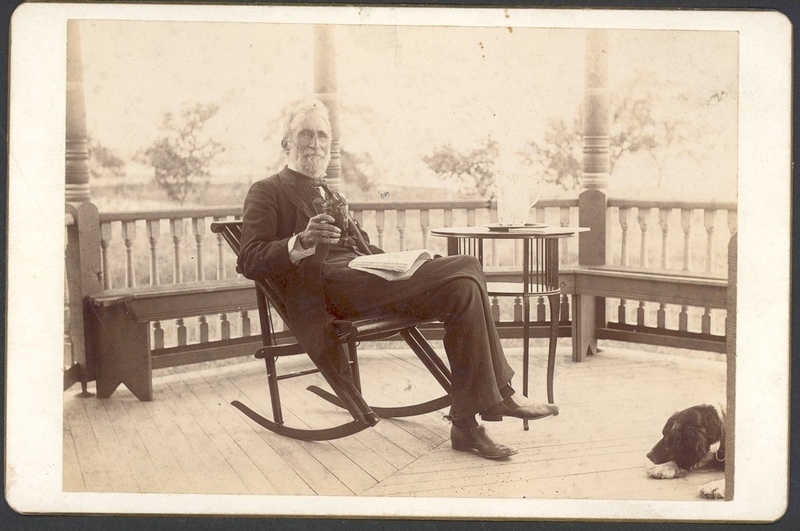 William B. Taliaferro seated with dog, undated: An image of William B. Taliaferro, a member of the Board of Visitors, alumnus, Virginia state delegate, and Confederate general during the Civil War. ~ Source: William Booth Taliaferro Papers, Mss. 65 T15 ~ Creator: College of William and Mary. 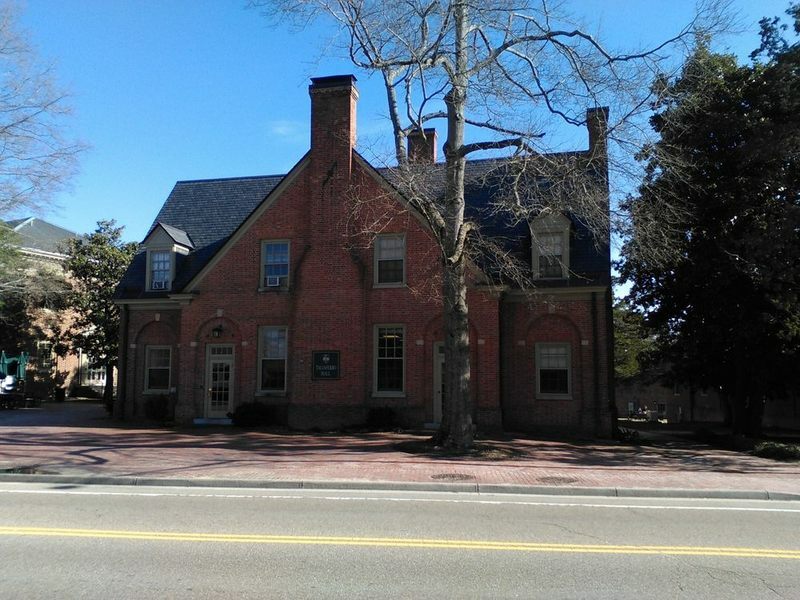 Special Collections Research Center, Swem Library, College of William and Mary., “Taliaferro Hall, Constructed 1934-1935,” TribeTrek, accessed April 26, 2019, https://tribetrek.wm.edu/items/show/66.